Irresistible to the water sports activities yet having to worry about your bag? Fret not! 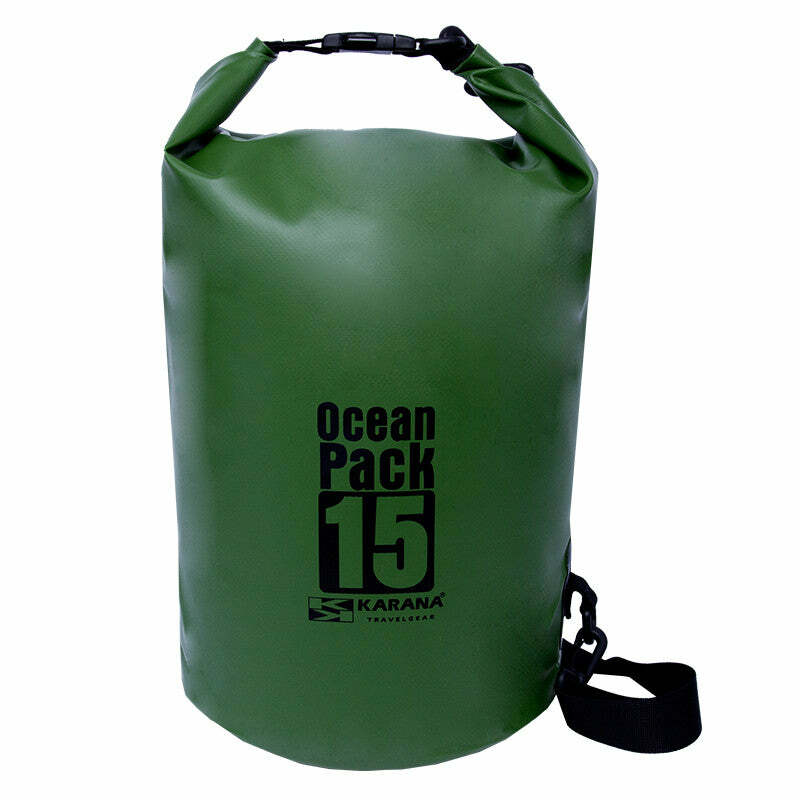 5L Karana Ocean Pack is 100% waterproof using EWS (Electronic Welding System). It is made from 0.6mm Tarpaulin, small, rugged and closed using RDL (Roll-down Lock) to keep your items dry, 1 inch nylon strap and DURAFLEX lock. It is ideal for any articles for daily activities, i.e.wallet, clothes or camera. The roll down seal on the bag is easy to use. A single roll strip goes across the width of the bag and the ends clip together with a robust plastic fitting. Roll the opening 3 or 4 times while pressing out most of the air after the first turn, and close the clip. Once sealed, the bag can be carried by the loop thatÍs formed without using the shoulder strap. Furthermore, you can leave some of the air trapped inside to improve buoyancy should it fall into the water.